Well, technically, my semester had begun yesterday (Tuesday, January 16th). I just finished my homework and stuff, so I'm going to let you guys know that my updates will be less sporadic because of school. Don't worry, there will be more updates once the Thousand Sons codex drops - I guarantee I'll cover that no matter how late I am. For now, I apologize for the lack of updates. By the way, I see people complaining that the new Thousand Sons codex will be Codex: Tzaangor all because Games Workshop announced that the Tzaangor units will be ported over from Age of Sigmar. Calm down, people. They are just new options. 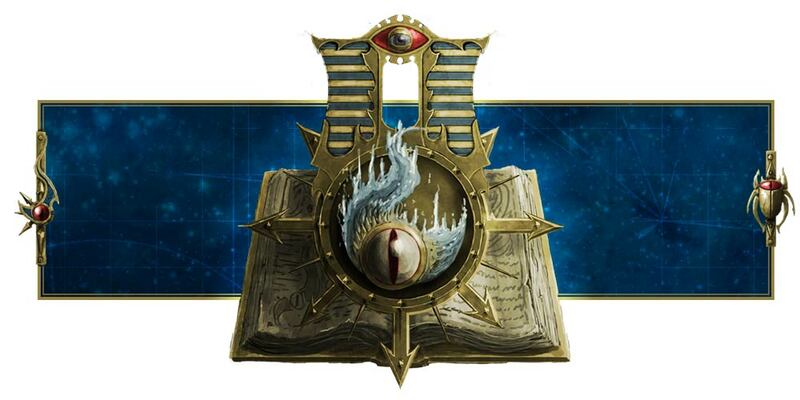 That doesn't mean that Tzaangors will be the only viable way to play, nor does it mean the Tzaangors will take center stage and become the focus of the new codex. Besides, we don't even have the codex yet! Where are you guys getting the information from? I mean, it's a leap to conclude that the codex will be based mostly on Tzaangors or that they'll be the only viable way to play Thousand Sons just from what little information we have! Let's wait for more information before hitting the panic button and raging about how Thousand Sons is no longer Thousand Sons but all about Tzaangors, all right?